• For Windows Vista Business, Windows Vista Ultimate, Windows 7 Professional or Windows 7 Ultimate (64-bit), the minimum memory requirement for 3 Remote Desktop users is (3 x 256 Megabytes) + 1 Gigabytes of RAM. For Windows Small Business Server 2008 or Windows Small Business Server 2011 (64-bit), the minimum memory requirement for 3 Remote Desktop users is (3 x 256 Megabytes) + 4 Gigabytes of RAM. For Windows Server 2008, Windows Server 2008 R2 or Windows Server 2008 R2 Foundation (64-bit), the minimum memory requirement for 3 Remote Desktop users is (3 x 256 Megabytes) + 2 Gigabytes of RAM. 256 MB of additional RAM or more is recommended for each additional Remote Desktop user, depending on the applications the user will be running. • What is WinConnect Server VS? WinConnect Server VS is a software solution that turns a Windows Host computer into an RDP 7.x or 6.x Server. This allows multiple Remote Desktop Protocol (RDP) 4.0, 5.0, 5.1, 5.2, 6.x and 7.x-enabled devices (such as Terminals, Internet/Information Appliances, Tablet PCs and PDAs) to connect to it to run Windows applications simultaneously and independently. These devices can connect to the server over a wired or wireless TCP/IP connection, such as local area network (LAN), wide area network (WAN), dial-up (Internet), digital subscriber line (DSL, ADSL), Integrated Services Digital Network (ISDN), or virtual private network (VPN) connection. You can remotely connect to your computer from another office, from home, or while traveling. This allows you to use the data, applications, and network resources that are on your office computer, without physically being in your office. • Why would I want to use the WinConnect Server VS software? • What must I do before purchasing and/or registering WinConnect Server VS software? • You must purchase or register WinConnect Server VS from the computer on which it was installed. Hence, please ensure that you have installed the WinConnect Server VS software on the computer and make sure it is working correctly in demo mode and meeting your requirements before purchasing and registering WinConnect Server VS online. • Open Microsoft Internet Explorer and run as an Administrator. If you are running Windows Vista, Windows 7, Windows Server 2008, Windows Server 2008 R2, Windows Server 2008 R2 Foundation, Windows Small Business Server 2008 or Windows Small Business Server 2011 (64-bit), locate the Internet Explorer (IE) icon in the Windows Quick Launch (next to the Windows Start) or the IE shortcut via Windows Start => All Programs => Internet Explorer. Right-click on the IE shortcut, and then click "Run as administrator". If Windows is in Classic View, click on Windows Start/Programs/Internet Explorer. Right-click on the IE shortcut, and then click "Run as administrator". Note: Presume that the Windows User Account Control (UAC) is turned on by default. • The "Internet Explorer Enhanced Security Configuration" setting in Windows? Server 2008 or Windows? Small Business Server 2008 / 2011(64-bit) must be turned off. • What is the recommended WinConnect Server VS Host requirement? A Pentium IV 2.8GHz or faster processor is the minimum recommendation for 1 Host and 1 Remote Desktop users. Increase the processor speed by 100MHz or more per additional Remote Desktop user, depending on the applications the user will be running. For best performance, a single or dual Pentium IV processor is suggested. Equivalent AMD processors are also supported. For Windows Vista Business, Windows Vista Ultimate, Windows 7 Professional or Windows 7 Ultimate (64-bit), the minimum memory requirement for 3 Remote Desktop users is (3 x 256 Megabytes) + 1 Gigabytes of RAM. • How difficult is it to set-up the WinConnect Server VS? Installation is simple. By following a few steps, it normally takes less than 10 minutes to set up. See the WinConnect Server VS User Manual for instructions. • How do I purchase/register the WinConnect Server VS software? You must purchase or register WinConnect Server VS from the computer on which it was installed. Hence, please ensure that you have installed the WinConnect Server VS software on the computer and make sure it is working correctly in demo mode and meeting your requirements before purchasing and registering WinConnect Server VS online. You can purchase/register the WinConnect Server VS software online via the WinConnect Server VS Control Center or visit our web site at http://www.thinsoftinc.com. 1. Ensure that you are using the Microsoft’s Internet Explorer (32-bit) as the default browser. 2. Make sure you have logged into Windows Vista (64-bit) or Windows 7 (64-bit) as an Administrator with full access rights. 3. If you are running Windows Vista, Windows 7, Windows Server 2008, Windows Server 2008 R2, Windows Server 2008 R2 Foundation, Windows Small Business Server 2008 or Windows Small Business Server 2011 (64-bit), locate the Internet Explorer (IE) icon in the Windows Quick Launch (next to the Windows Start) or the IE shortcut via Windows Start => All Programs => Internet Explorer. Right-click on the IE shortcut, and then click Run as administrator. If Windows is in Classic View, click on Windows Start/Programs/Internet Explorer. Right-click on the IE shortcut, and then click Run as administrator. .
4. The "Internet Explorer Enhanced Security Configuration" setting in Windows? Server 2008 or Windows? Small Business Server 2008 / 2011 (64-bit) must be turned off. Click on Windows Start -> Programs -> Administrative Tools -> Server Manager. Under the Security Information section, click on "Configure IE ESC" in the right panel and then select "Off" for the Administrator . 5. Within Microsoft Internet Explorer, click on Tools => Internet => Options => Security => Custom Level. Set the "Reset To:" option to "Medium" and click on the Reset button. Next, click on the "OK" button to apply the changes. This is the required Internet Explorer setting and is what the WinConnect Server VS Registration page requires in order to successfully work the purchase/registration process. Step 1: On the Windows desktop, right-click on the WinConnect Server VS Control Center icon and then click "Run as administrator". Click on the WinConnect Server VS Control Center icon located on your desktop. This will launch the WinConnect Server VS Control Center. First, select Help from Control Center menu, and then select Register on the Web from the Help sub-menu. Step 2: Microsoft Internet Explorer will be launched and directed to the WinConnect Server VS Registration site. Select the language you wish to use to register WinConnect Server VS. Step 3: If you have purchased WinConnect Server VS prepaid serial number(s), enter the prepaid serial number(s), and click the “Register New Serial Numbers” button. If you do not have the WinConnect Server VS prepaid serial number(s) and want to purchase/ register WinConnect Server VS license online, select the option “Check this box if you would like to purchase additional user licenses” and click “Create New License and Purchase WinConnect Server VS” button. Step 4: Enter the information requested and click “Continue with Registration”. Step 5: Once WinConnect Server VS is successfully registered, you will need to restart Windows. Notes: When prompted to install and run the "ThinSoft ..." and/or the "SheriffNet Module" ActiveX controls, you must click on the "Yes" button to install and run the ActiveX controls. Please wait for each page to load completely before proceeding to the next page. WinConnect Server VS can be purchased online via http://www.thinsoftinc.com at a price of US$ 299.95 per pack of 3 users. Each WinConnect Server VS license allows an additional 3 users. As user needs increase, additional licenses can be purchased online. A. Firstly, please make sure your WinConnect Server VS (aka WCS-VS) is currently registered and working correctly in license mode. Please take note and keep a proper record of the WCS-VS primary serial number (open WCS Control Center --> Terminal Servers, the WCS-VS primary serial number will be displayed on the right window pane). 1. Logon into Windows as an Administrator on the PC where WCS-VS was installed and registered. a. Close WinConnect Server VS Control Center if it is opened. b. On Windows desktop, right click on the "WinConnect Server VS Control Center" icon and click on "Run as administrator". WinConnect Server VS Control Center will be opened with Administrator privileges. c. Within WinConnect Server VS Control Center, click on Help --> Register on the Web. Internet Explorer will be launched with Administrator privileges and directed to the WinConnect Server VS Purchase/Registration site. e. Within Internet Explorer, click on Tools --> Internet Options --> Security --> Custom Level. Set the "Reset To:" option to "Medium" and click on the Reset button (the default Security setting "Medium-high" WILL NOT WORK). Next, click on the "OK" button to apply the changes. This is what the WinConnect Server VS Registration site requires in order to successfully complete the purchase/registration process. f. Within Internet Explorer, click on Tools --> Pop-up Blocker and select "Turn Off Pop-up Blocker". g. Within Internet Explorer, click on Tools --> Internet Options --> Delete --> Delete Files to delete the "Temporary Internet Files". 3. On the WinConnect Server VS Purchase/Registration page that says "WinConnect Server VS; Upgrade Your Serial Number or Purchase New License", your WCS-VS primary serial number should be displayed in the "Your Registered Serial Number" box. 4. Select the option "Check this box if you would like to purchase additional user licenses" since you are purchasing additional user licenses online where the payment is by credit card. 5. Click on the "Register New Serial Numbers" button and follow the on-screen instructions to continue with the purchase/registration of additional WCS-VS licenses. a. During the purchase/registration process, you must accept all ActiveX prompts signed by "ThinSoft ..." and/or the "SheriffNet Module" ActiveX Controls. b. Please wait for each page to load completely before proceeding to the next page. c. Please DO NOT click on the MS Internet Explorer's "Refresh" or Back" button during the purchase/registration process. d. You will need to restart Windows after you have successfully purchased and registered additional WCS-VS licenses. • Can I connect more than one Remote Desktop Client to the WinConnect Server VS Host? Yes, up to a maximum of twenty-one (21) Remote Desktop Clients can be connected to the WinConnect Server VS Host. It depends on the type of software products you are using. Most software products will allow all users to open and edit different documents at the same time, using the same program. Each user can also use different software products, concurrently. If you have any questions regarding compatibility of a particular application program, you can download the trial version of WinConnect Server VS to test your application before you purchase. Alternately, you can ask the software vendor if the application supports Windows Terminal Services. If Windows Terminal Services is supported, the software will most likely work on the WinConnect Server VS environment. (b) Check with the respective companies of the Software Products for such usage and/or similar usage. • When both Remote Desktop users open the same file, can they save the file at the same time? It depends on the types of applications you are running. Some applications will provide full read and write privileges to the user who opened or accessed the file first; the other users may then have read only privilege. • Do I have my own preferences for Word/Excel, favorites for Internet Explorer? All of your preferences are stored in individual "profiles". Your profile stores all of your preferences, and individual information. In order to take advantage of this feature, each user must log in to the system with a unique user name. • Can I run DOS applications on the Remote Desktop Client? The Remote Desktop Client supports windowed DOS box where you can run DOS applications and access the DOS command prompt. • Where are my files stored? Files can be stored on the central WinConnect Server VS Host, network servers or on the local storage of the Remote Desktop Client. • Can I elect to store files locally on Remote Desktop Client? Yes, if the Remote Desktop Client is a RDP 5.1, 5.2 or 6.x-enabled device and local drive redirection is enabled when connecting to the WinConnect Server VS Host. • How secure is my data, using WinConnect Server VS software? Data can be stored on the central WinConnect Server VS Host instead of the local PC hard drive. Normally, the server is located in a secured place and is only accessible by an IT personnel who has the rights to do so. The data transmitted from your Remote Desktop Client, normally, takes a path along a secured communication/network, to the WinConnect Server VS Host. Consider this security against data stored on a PC, in an open office environment, vulnerable to be stolen along with your data (in the Thin Client environment, they would have stolen a "nearly" worthless box with no data in it). • Will multiple users running Windows applications concurrently make my WinConnect Server VS Host work slower? The performance of the WinConnect Server VS Host will depend on the system set-up and configuration, the number of users supported and the applications the users will be running. For more information, refer to "What is the recommended WinConnect Server VS Host requirement?" above. • Which is the best remote connection medium to connect the Remote Desktop Client to the WinConnect Server VS Host? A broadband Internet connection over digital subscriber line (DSL, ADSL), cable or Integrated Services Digital Network (ISDN) connection improves performance. However, RDP transfers only minimal data (such as display data and keyboard data) between the WinConnect Server VS Host and the Remote Desktop Client, therefore, it works even with a low-bandwidth Internet connection over a wired or wireless connection (Dial-up, GPRS, etc.). • Can I add the WinConnect Server VS Host to a Windows Domain? Yes, the WinConnect VS Host can be a member of a Windows Domain. • Can the Console user monitors and controls the activities on the Remote Desktop Clients? The Console user cannot monitor and control the activities on the Remote Desktop Clients. • How can I prevent the users on the Remote Desktop Clients from shutting down the WinConnect Server VS Host? The Security Policy Settings in Windows Vista, Windows 7, Windows Server 2008, Windows Server 2008 R2, Windows Server 2008 R2 Foundation, Windows Small Business Server 2008 and Windows Small Business Server 2011 (64-bit) allows the Administrator to control certain user's privileges, as well as control certain actions allowed for the users. Administrator can modify the security-relevant settings, including users' rights to shut down Windows, by configuring the Security Policy. The WinConnect Server VS allows multiple users to simultaneously and independently share the same hardware and software installed on the Host computer. Some software is licensed for use on a single computer while other software may be licensed for single or multiple users. It is the responsibility of the WinConnect Server VS purchaser/user to read and comply with the licensing agreements of any software that may be used. Additionally, it is the responsibility of the WinConnect Server VS purchaser/ user to read and comply with the Windows licensing agreement with regards to Remote Desktop access, or contact Microsoft for clarification. • Where can I download the Remote Desktop Client software for Windows System? The Remote Desktop Client software is available for download at the Microsoft web site here. The client software is installed by default on computers running Windows Vista, Windows 7, Windows Server 2008, Windows Server 2008 R2, Windows Server 2008 R2 Foundation, Windows Small Business Server 2008 and Windows Small Business Server 2011 (64-bit). The instructions on how to create a Remote Desktop connection and start a Remote Desktop session are available for download at the Microsoft web site here. • Where can I download the Remote Desktop Client software for Linux System? • Where can I download the Remote Desktop Client software for Mac System? The Remote Desktop Client software is available for download at the Microsoft web site here. • How can I access the remote client’s local drive(s) from within the remote desktop session? On the MS Remote Desktop Connection (RDC) software, click on Options --> Local Resources --> More and check the "Drives" option, then connect to the WinConnect Server VS Host. Within the remote desktop session, open "My Computer" and you should be able to see the local drives. Note: You may not see the remote client’s local drives appear in the Windows Explorer of the remote desktop session immediately. There may be a short delay for all the local drivers to be redirected. • How can I print to the local printer connected physically to the remote client? 1. On the remote client, before connecting to the WinConnect Server VS Host, you will need to install the printer as per normal and make sure that the printer is working correctly, please refer to the printer user manual for installation instructions. 2. On the remote client, open the MS Remote Desktop Connection (RDC) software, click on Options --> Local Resources, and check "Printers". Then connect to the WinConnect Server VS Host. On the remote desktop session, click on Start --> Settings --> Printers and Faxes; you should then see your printer (please see note below). Printing at the remote client location is a function of the MS RDC software being used. The MS RDC software send the information about the local printer to WinConnect Server VS/Windows Vista/Windows 7/Windows Server 2008/Windows Server 2008 R2/Windows Server 2008 R2 Foundation/Windows Small Business Server 2008/Windows Small Business Server 2011(64-bit) Host and if that printer is listed among the Windows native printer list, then all will go fine. If the printer model is not one contained within the list of Windows native printers, then it will be necessary to install the printer driver on the WinConnect Server VS/Windows Vista/Windows 7/Windows Server 2008/Windows Server 2008 R2/Windows Server 2008 R2 Foundation/Windows Small Business Server 2008/Windows Small Business Server 2011(64-bit) Host first. In some cases, to install the printer correctly on the WinConnect Server VS/Windows Vista/Windows 7/Windows Server 2008/Windows Server 2008 R2/Windows Server 2008 R2 Foundation/Windows Small Business Server 2008/Windows Small Business Server 2011(64-bit) Host will require actually connecting the printer to the WinConnect Server VS/Windows Vista/Windows 7/Windows Server 2008/Windows Server 2008 R2/Windows Server 2008 R2 Foundation/Windows Small Business Server 2008/Windows Small Business Server 2011(64-bit) Host or the printer driver will not install properly. When this installation is done, the printer should be detected as a local printer when the remote client is connected to the WinConnect Server VS Host. Printers that use ports that do not begin with COM, LPT, or USB are not redirected in a remote desktop connection. Please check with your printer manufacturer's Technical Support on how to configure your printer to use a COM/LPT/USB port. Important: When a multifunction printer is using a standard LPT port instead of the DOT4 port, it loses its multifunction capabilities, such as scanning, faxing, or copying. To regain the multifunction capabilities, the print device must use the DOT4 port. To view the port name for your printer, or to determine if the device uses a DOT4 port, view the properties of that printer, and then click the Ports(or the Details) tab. • How to configure your Router for Remote Desktop Access? The Remote Desktop Client software allows Windows platforms to remotely connect to a WinConnect Server VS Host to run Windows applications. First, get the IP address of the host computer (the computer with WinConnect Server VS installed on it). Right click on an empty area of the desktop and select Command Prompt. In the DOS box that appears, enter the command: ipconfig. Then hit the Enter key. The computer’s IP address will be displayed in the information shown. Make note of it. Next, open a browser and enter the URL http://www.portforward.com in the address bar. This IP address is what your remote users will need to enter into the Computer field in the Microsoft Remote Desktop Connection program on their computers. Remote Desktop Connection is part of Windows Vista/Windows 7/ Windows Server 2008/Windows Server 2008 R2/Windows Server 2008 R2 Foundation/Windows Small Business Server 2008/Windows Small Business Server 2011(64-bit) and can be found on the Accessories menu (Start/Programs/Accessories). In the second paragraph on the PortForward opening page, locate the word Routers and click on it. This will take you to a page displaying most brands and models of routers. Locate the specific brand and model of router used in your location and click on it (if your router is not listed, please contact your router's vendor for details on how to configure your router's port forwarding for Remote Desktop access. The remote desktop communication makes use of TCP port 3389). This action takes you to the Application page. Scroll down until you locate Remote Desktop and click on it. You will now see a step-by-step set of instructions for configuring your router to allow Remote Desktop access. You will be asked to enter an IP address at the beginning of the configuration routine; this is the IP address you obtained in the first part of these instructions. 1. There are two IP addresses involved regarding Remote Desktop access. One is the external IP address owned by the router and the other is the internal IP address of the host computer. Ideally, both of these should be “static” (meaning they never change). Unfortunately, this is not always the case. The external IP address is controlled by your Internet provider. You may check with them if you are not sure whether your account has a static IP address. 2. If you want to allow remote desktop connection to the WinConnect Server VS Host’s Console, please ensure the router is configured to forward port 36157 to the WinConnect Server VS Host. • Are Windows Vista x64 (64-bit), Windows 7 (64-bit), Windows Small Business Server 2008 x64 (64-bit), Windows Small Business Server 2011 x64 (64-bit), Windows Server 2008 R2 x64 (64-bit) and Windows Server 2008 R2 Foundation x64 (64-bit) supported? Yes, WinConnect Server VS (32-bit) supports Windows Vista x32, Windows 7 x32 and Windows Server 2008 x32 (32-bit). WinConnect Server VS (64-bit) supports Windows Vista x64, Windows 7 x64, Windows Small Business Server 2008 x64, Windows Small Business Server 2011, Windows Server 2008 x64, Windows Server 2008 R2 x64 and Windows Server 2008 R2 Foundation x64 (64-bit). • Can I use a firewall on my WinConnect Server VS Host of the Windows Vista, Windows 7, Windows Server 2008, Windows Server 2008 R2, Windows Server 2008 R2 Foundation, Windows Small Business Server 2008 or Windows Small Business Server 2011 (64-bit)? There are two ports necessary for WinConnect Server VS. The first TCP port required for WinConnect Server VS software is 3389. The second is a UDP port required if you want the computer to be visible as a terminal server to a client browsing the network. This is port 137. If you are using a third party firewall, please see the documentation that comes with your firewall. To configure the built-in Windows firewall, go to Start-> Control Panel-> Security-> Windows Firewall. Click on the Change Settings option. On the Exceptions tab, check Remote Desktop. This will enable the TCP port of 3389. Click on the Add Port button. Type a short name for the port to help you remember what it is used for. Enter "137" for External Port number. Click on UDP, and then click on OK. Click on OK in the Windows Firewall dialog box. For additional security it is possible to change the port number used by RDP. 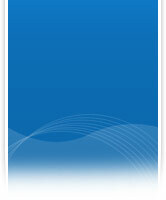 Instructions can be found in FAQ on ?Using port other than the standard Microsoft RDP port 3389?. If you do change this port number, you must also adjust your firewall to enable TCP traffic through whatever port you have chosen. • How do i connect to the WinConnect Server VS Console session of Windows Vista, Windows 7, Windows Server 2008, Windows Server 2008 R2, Windows Server 2008 R2 Foundation, Windows Small Business Server 2008 or Windows Small Business Server 2011 (64-bit)? Step 3: In Computer, type in the IP address of WinConnect Server VS system used by WinConnect Server VS software (e.g. 218.10.0.30 /admin). Click Connect. Step 4: In the Log On to Windows dialog box, type in the same user name and password that user has logged on the WinConnect Server VS system, and then press the Enter key. The Remote Desktop window will open. • Can WinConnect Server VS of the Windows Vista, Windows 7, Windows Server 2008, Windows Server 2008 R2, Windows Server 2008 R2 Foundation, Windows Small Business Server 2008 or Windows Small Business Server 2011 (64-bit) use a port other than the standard Microsoft RDP port 3389? 1. Without WinConnect Server VS software installed, Windows Server 2008/Windows Server 2008 R2/Windows Server 2008 R2 Foundation, Windows Small Business Server 2008 or Windows Small Business Server 2011 (64-bit) native terminal services or Windows Vista/Windows 7 (64-bit) native remote desktop listens to port 3389 (0d3d Hex). 2. With WinConnect Server VS software installed, WinConnect Server VS software listens to port 3389 (0d3d Hex). key. Within this key, locate the PortNumber subkey. By default, PortNumber is set to 00008d3d Hex, or 36157. Modify the Hex value above 00008400 Hex, or 33792.
key. Within this key, locate the PortNumber subkey. By default, PortNumber is set to 3389 (ie PortNumber is the port number WinConnect Server VS software listens to). Modify the Hex value above 00000400 Hex, or 1024. Addtionally, please check to make sure that the new TCP port used by WinConnect Server VS software is not blocked by any firewall on the WinConnect Server VS system, remote client(s) and/or network. i. The PortNumber subkey (of HKEY_LOCAL_MACHINE\System\CurrentControlSet\Control\Terminal Server\WinStations\RDP-Tcp key) to 36158 (8d3e Hex). Note: 8d3e Hex is equivalent to the most significant bit of 0d3e Hex being set; or 8d3e Hex is equivelent to 0d3e Hex OR 8000 Hex. ii. the PortNumber subkey (of HKEY_LOCAL_MACHINE\System\CurrentControlSet\Control\ThinComputingInc\BeTwin key) to 3390 (0d3e Hex). Save the changes and reboot the computer for it to take effect. 2. With this change, WinConnect Server VS software will listen to port 0d3e Hex, or 3390. 3. On the WinConnect Server VS system and/or network, set the Firewall not to block TCP port 3390 (0d3e Hex). Step 3: In Computer, type the IP address of WinConnect Server VS system and port number used by WinConnect Server VS software (e.g. 218.10.0.30:3390; port number must be in decimal). Click Connect. Step 4: In the Log On to Windows dialog box, type in your user name and password (if required), and then press the Enter key. The Remote Desktop window will open. • How do I connect to the WinConnect Server VS Host through VPN tunnel? Click Here to view the connection diagram. • How do I connect to the WinConnect Server VS Host through SSL tunnel via Windows Server 2008 Terminal Server Gateway? A Terminal Server Gateway (TS Gateway) server is a kind of gateway that enables authorized users to connect to remote computers on a corporate network. These authorized users can connect from any computer by using an Internet connection. TS Gateway uses the Remote Desktop Protocol (RDP) together with the HTTPS protocol to help create a more secure encrypted connection. Earlier versions of RDC cannot connect to remote computers across firewalls and across network address translators. This is because port 3389 is typically blocked to improve network security. Port 3389 is the port that is used for Remote Desktop connections. However, a TS Gateway server uses port 443. Port 443 transmits data through a Secure Sockets Layer (SSL) tunnel. It enables Remote Desktop connections to a corporate network from the Internet without requiring a virtual private network (VPN) connection. It enables connections to remote computers across firewalls. It helps you share a network connection with other programs that are running on the computer. This enables you to use the Internet service provider (ISP) connection instead of the corporate network to send and to receive data over the remote connection. Click Start, click All Programs, click Accessories, click Communication, and then click Remote Desktop Connection. Click Options, click the Advanced tab, and then click Settings. This option lets you select a logon method when you connect. This option prompts you for a password when you connect. Select or clear the Bypass TS Gateway server for local addresses check box. By selecting this check box, you prevent the traffic that is moving to and from local network addresses from being routed through the TS Gateway server. This option makes the connection faster. • How do I connect to the WinConnect Server VS Host using Terminal Services Web Access? Step 1: Install Remote Desktop Web Connection software on the WinConnect Server VS Host. Step 2: Install Internet Information Services (IIS) on the WinConnect Server VS Host. Go to Windows Start => Administrative Tools => Server Manager. Use the Add Roles Wizard to add the Web server role. Go to Windows Start => Control Panel => Programs => Turn on or off Windows features. Step 3: Go to Windows Start => Settings => Control Panel => Windows Firewall => Exceptions. Under Programs and Services, check the box next to World Wide Web Service (http) and click ok. Step 5: Remote Desktop Web connection will then be running in the Internet Explorer. • I am not able to connect to the WinConnect Server VS Host using Terminal Services Web Access. On a Windows XP Service Pack 3 (SP3)-based or Windows Small Business Server 2003 Service Pack 1 (SP1)-based computer, you experience the following symptom: When you try to connect to a remote computer through Remote Desktop Web Connection (TSWeb), the Connect button is disabled. This issue occurs if the ActiveX control for the Remote Desktop Connection client is not enabled on the Web browser. By default, the ActiveX control is disabled after you install Windows XP Service Pack 3 (SP3) or Windows Small Business Server 2003 SP1. Visit the Web site that is causing this problem. On the Tools menu, point to Manage Add-ons, and then click Enable or Disable Add-ons. The Manage Add-ons dialog box appears. In the list of add-ins, search for the Microsoft Terminal Services Client Control ActiveX control or for the Microsoft RDP client Control ActiveX control. If you cannot find the control, see the steps in "If the control is not displayed in the list of add-ons" at the end of this section. Click the control, click Enable, and then click OK to close the Manage Add-ons dialog box. On the Tools menu, click Manage Add-ons. The Manage Add-ons dialog box appears. Add the site to your Trusted Sites in Internet Explorer. Try to connect to the remote computer. Or, try to start the remote application. Sometimes the Microsoft Terminal Services Client Control ActiveX control will not be displayed in the list of add-ons. If it is not displayed, you can try the following steps to attempt to display the control by resetting Internet Explorer back to a default configuration. Click File, and then click Import and Export. Follow the steps in the wizard to export your Favorites. Click Advanced, and then click Reset. Once Internet Explorer has been reset to a default configuration, try to connect to the remote computer or start the remote application. If it does not work, then follow the steps in the workaround to enable the Microsoft Terminal Service Client Control ActiveX control. If the control is still not listed, you can modify the registry to remove a key, if it exists. Once the registry key is removed, exit and restart Internet Explorer, and try to connect to the remote computer or start the remote application again. At the confirmation prompt, click OK. Restart Internet Explorer, and try to connect to the remote computer or start the remote application. In Windows XP Service Pack 2 (SP2), you had to install the Msrdp.ocx file to enable the Terminal Services ActiveX control. Windows XP Service Pack 3 (SP3) already includes this ActiveX control and installs it by using the Mstscax.dll file. By default, this ActiveX control is disabled in Windows XP Service Pack 3 (SP3). • How can I have multiple login on the WinConnect Server VS Host using the same user account? You will need to disable "Single session per user" option. To do this, on Windows desktop, right click on "WinConnect Server VS Control Center" and run as an Administrator. Select and right click on the WinConnect Server VS computer name, select Properties and set the option "Single session per user" to "No" and then restart Windows. "Single Session Per User" setting restricts a user to a single Remote Desktop session. When enabled, the active Remote Desktop session will be disconnected when the same user login on another Remote Desktop session. When disabled, the same user can login on multiple Remote Desktop sessions. Default setting is "Yes". Note: If the Single Session Per User option is enabled, the Reconnect Setting from User will be automatically disabled and the user is allowed to reconnect to a disconnected Remote Desktop session from any computer. • I am not able to logon to the WinConnect Server VS Host remotely using an user account without a password. --> Accounts: Limit local account use of blank passwords to console logon only security option. "Limit Blank Password Use" setting limits local account use of blank passwords to console logon only. If set to "Yes", Remote Desktop User (apply to local user account only, i.e. Non-Domain user account) will need a password to logon into Windows. Default setting is "Yes". • How to enable/disable Audio Recording Redirection (Windows 7 Ultimate, Windows Server 2008 R2, Windows Server 2008 R2 Foundation and Windows Small Business Server 2011)? Step 1: Go to Windows Start => Run. Step 3: Go to Windows Local Computer Policy => Computer Configuration => Administrative Templates => Windows Components => Remote Desktop Services => Remote Desktop Session Host => Device and Resource Redirection => "Allow Audio Recording Redirection". This policy setting allows users to specify if users can record audio to the remote computer in a Remote Desktop session. By default, audio recording redirection is disabled/not allowed when connecting to a computer running Windows Server 2008 R2, Windows Server 2008 R2 Foundation and Windows Small Business Server 2011. Audio recording redirection is enabled/allowed by default when connecting to a computer running Windows 7. • How to make use of the RemoteApp feature to achieve seamless Windows environment? Step 1: On the WinConnect Server VS machine, go to Windows Start => All Programs => Accessories. Right click on "Command Prompt" and select "Run as Administrator". Step 2: Go to the directory path where WinConnect Server VS (a.k.a. WCS-VS) is installed. For 32-bit Windows, type "cd c:\Program Files\BeTwin"
For 64-bit Windows, type "cd c:\Program Files(x86)\BeTwin"
Step 3: Type "rdpman /remoteapp" and press the "Enter" key. The WCS-VS Control Center will be displayed. Step 4: Right-click on the Server and select "Properties". Step 5: Double click on the option "Restrict RemoteApp Program Use" under "RemoteApp"
Step 6: Ensure the setting for "Restrict RDP clients Initial programs ..." is set to "No". To allow remote client to run a RemoteApp Program upon remote connection, double click on " < add new >" under Application Name. Click on the "..." button to browse and select the filename of the application in the file directory. Then, click on the ".rdp" button to generate the client .rdp connection file. a. Create an Application Name "Notepad"
c. By default, an Alias will be created using the application executable filename e.g. notepad. You may edit it manually to make any change. d. Click on the ".rdp" button to create the client .rdp connection file. e.g. C:\Documents and Settings\Administrator\Desktop\notepad.rdp. Click on the "Save" button, follow by "OK" button. The notepad.rdp file is now created and saved in C:\Documents and Settings\Administrator\Desktop\notepad.rdp. Step 8: Copy the saved notepad.rdp file from the WinConnect Server VS machine to the Remote Client Station. On the Remote Client Station, double click on the notepad.rdp file to connect to the WinConnect Server VS machine. Step 9: "RemoteApp" login box will appear to prompt for username and password. After entering the required information, Notepad will be automatically launched within the local desktop screen. • Which third party Load Balancing software works with WinConnect Server VS? 2X LoadBalancer v10.5 was tested working with WinConnect Server VS (32-bit) and WinConnect Server VS (64-bit) on Windows 7 Professional/Ultimate (32-bit) and Windows 7 Professional/Ultimate (64-bit) respectively. (i) After installing 2X Terminal Server Agent onto WCS-VS computer, you need to add the text "2XAgent.exe" in BeTwin registry entry (For example: Click on Windows Start menu -> Run -> Type regedit -> Expand HKEY_LOCAL_MACHIHNE -> Expand SYSTEM -> Expand CurrentControlSet -> Expand Control -> Expand ThinComputingInc -> click on BeTwin -> Double-click on BeTwinAppList -> add the text 2XAgent.exe in the Value data -> Click on OK -> Restart Windows to take effect). Note: By default the RDP port is 3389. However, if you have changed the WCS-VS computer's RDP port to #, you will need to change the default Port (Open 2X LoadBalancer Console -> Click on Farm -> Terminal Servers -> WCS-VS computer -> Properties -> Agent Settings) to # instead of 3389 as mentioned in item (ii) above. Disclaimer: ThinSoft does not guarantee nor warrant that the 2X LoadBalancer software will be suitable for a particular purpose. It is entirely up to the customer's discretion to make this decision and verify that the 2X LoadBalancer software meets his/her requirements.